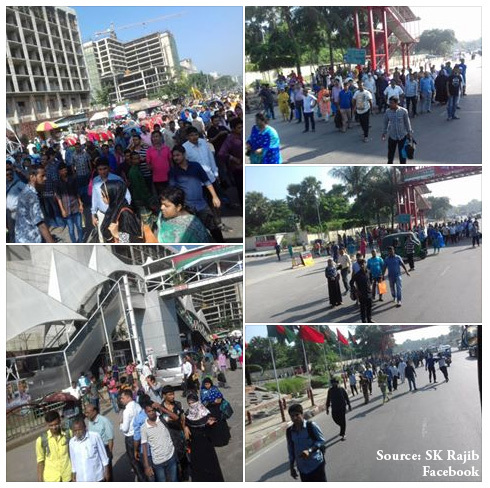 Commuters from Uttara to Motijheel know what it takes for them to reach their destination in rush hours. 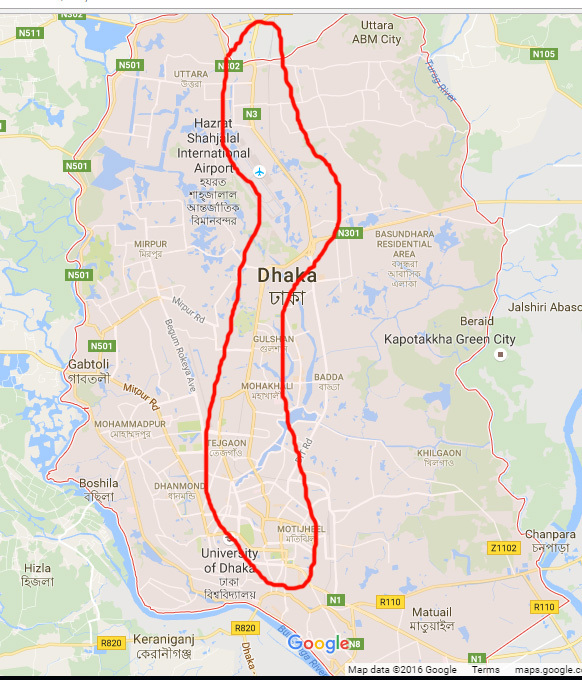 It is hard to believe that our urban planners couldn’t make a parallel lane to the Uttara – Motijheel road. 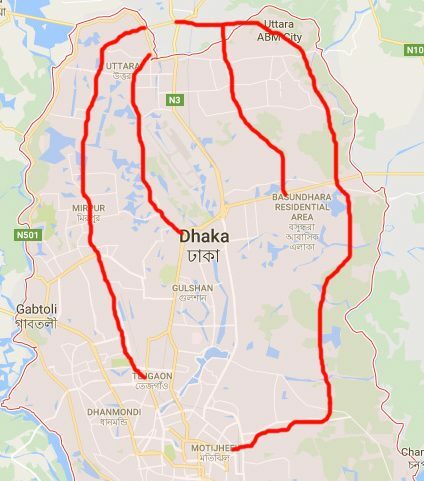 Yes there are branch roads one through Kuril Bishwaroad and another one through Mohakhali Tejgaon – but still – Uttara to Kuril – ONLY ONE CONNECTING ROAD. The problem on those two days were not only for North to South commuters. Since this road divides the city in two parts – East and West and people from both side needs to use this road to go to other sides – blocking this road means blocking East West crisscrossing too. What on our policy makers’ minds go through when they plan to reside Chinese President Le Méridien Dhaka??? Couldn’t they imagine the consequences?? The VVIP not only stayed on that hotel – he had to use the road to attend all the programs and most of them were in the middle of the city. Now this incident is an eye opener for our Urban planners to think seriously about the issue. It is understandable that not every day VVIPs will stay in Le Méridien Dhaka – but some other incidents may take place (For example, PM or VVIP Leaders are welcomed when they return from foreign trip) which can cause the road block. Moreover, in few years time twice the number of people will start living at Purbachol – so add those people in the number who will be using this road!! It is time Government should take this issue seriously and try to build more roads connecting North to South. We have seen building flyovers are not even working since those do not have enough connecting roads which will make room for the transportation. There are still some less occupied areas through which roads can be built. These roads will definitely help reduce the pressure on the Airport road and moreover act as redundant connectivity from north to south. Tagged Airport Road, Dhaka, Dhaka City, Le Méridien Dhaka, Road Block, Uttara.